Every once in a thousand shots or so i take a photograph which tickles my fancy and this photograph below is one of those photographs. 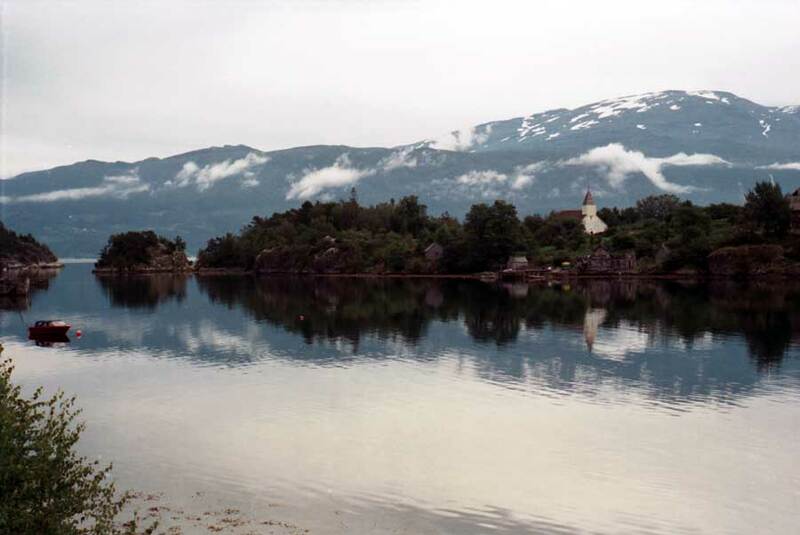 The scene is from along the Sognefjord as we traveled about on our Norwegian portion of our Scandinavian adventure. i had originally placed this on eaarlier created web page in a smaller format but have enjoyed this photograph (we have an eleven by fourteen inch print on our living room wall) so much that i present it a larger format and on a web page by itself. These photographs are the from a visit to Norway in 1989.